Here at ComicsAlliance, there are a few holiday traditions that we look forward to all year, and chief among them is our yearly visit from writer Benito Cereno to tell us a true Christmas story from the life of St. Nicholas. Previously, he and Anthony Clark told us the tale of Catalonia's Tio de Nadal, but this year, things are a little more monstrous. 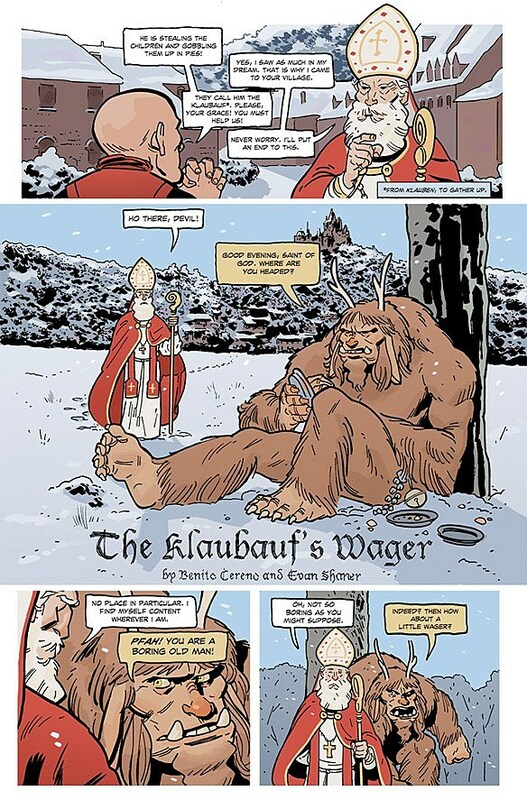 So enjoy the art of Evan "Doc" Shaner as he and Benito bring you the tale of Klaubauf, a Bavarian variant of the Krampus who baked children into pies! 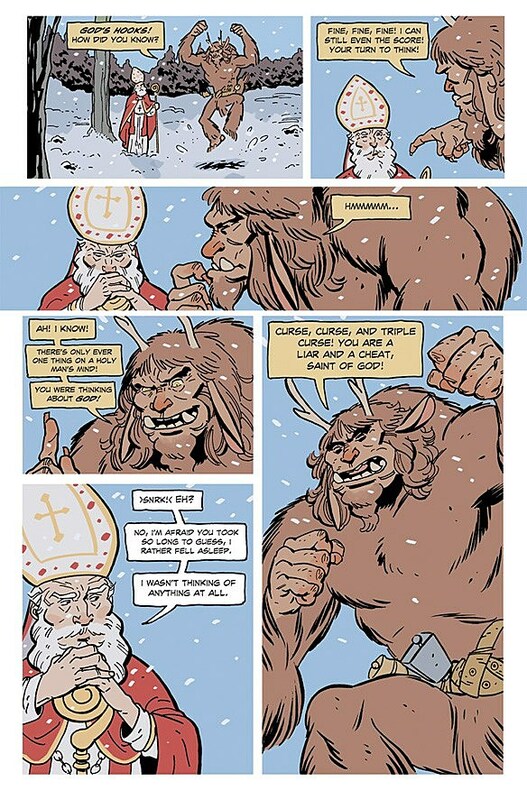 And that's how the Klaubauf was added to the good saint's army of demons and devils in the years before he retired to the North Pole to focus on toymaking. 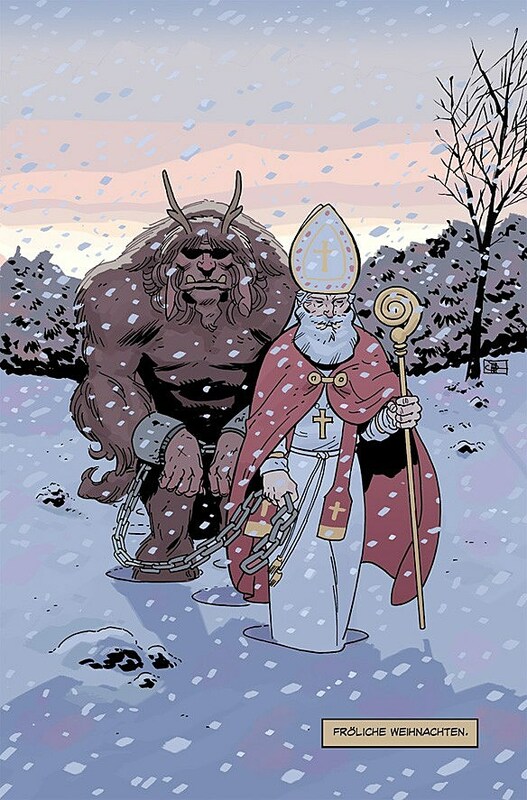 If you're wondering just what it was that St. Nicholas had in his hands, those were the Chains of St. Peter, which Jolly Old St. Nick was known to use to shackle up various Krampuses during his time wandering around Europe. The story itself, according to Benito, is adapted from an old Eastern European folktale. 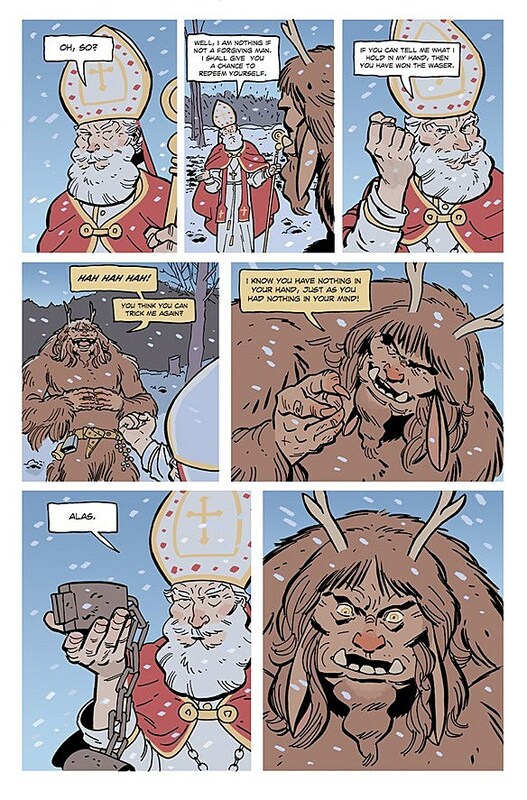 For more from Doc Shaner, check out his website, and have a Merry Christmas free of pie-making cannibal demons! 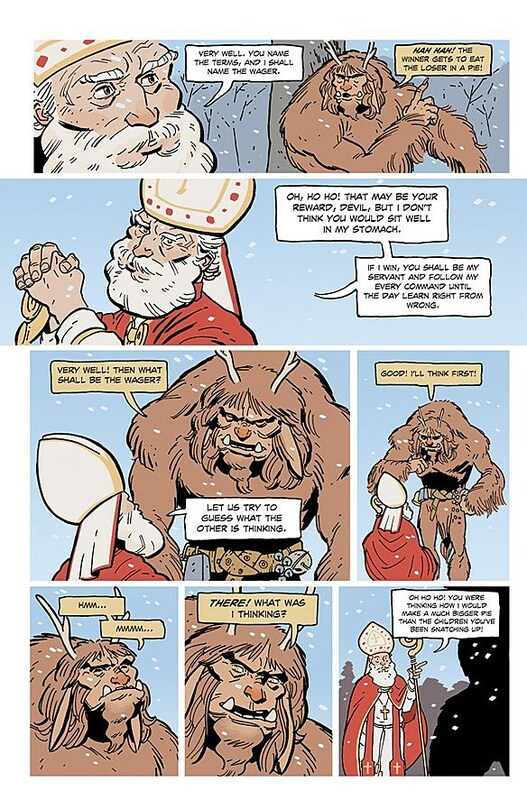 This comic originally appeared on ComicsAlliance on December 12 2012.